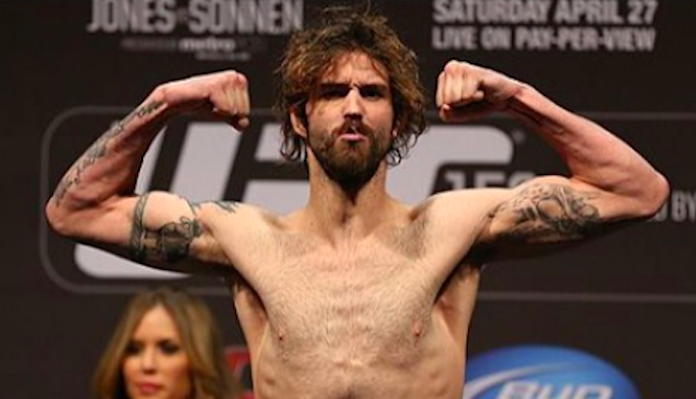 The Nevada State Athletic Commission (NSAC) has handed UFC veteran Cody McKenzie a hefty, four-year suspension for refusing to take a drug test, and then submitting fraudulent urine in said test. McKenzie did not appear at the commission’s hearing, which likely didn’t help his case. A Nevada State Attorney General detailed the complaint against the former UFC fighter. “On Sept. 14, 2018, prior to his contest [with JD Domengeaux at Tuff-N-Uff: Fight Night] at the Orleans Hotel, he was given a valid request by a commission representative to provide a urine sample before his bout, but the respondent, Mr. McKenzie, refused and declared that he was going to go to his room and would not provide a sample until it was closer to his bout. When the respondent did return and provide a sample, the sample itself registered as abnormally high – in temperature, that is. When he was confronted about this, he made several representations including that if ‘this’ got out, he would lose his job, as well as an admission that he had smoked pot that day. McKenzie will also have to pay a fee of $944.84 if he ever hopes to be licensed in Nevada again, per MMAjunkie. This suspension is especially significant because other state commissions tend to follow the lead of the NSAC, meaning McKenzie’s days of fighting on North American soil are likely over for the next four years. As MMA-Today’s Al Zullino points out, Cody McKenzie is als currently facing discipline in Italy for a similar issue. Cody McKenzie his currently on a two-fight skid, having recently been defeated by Stefano Paternò and Joe Riggs. 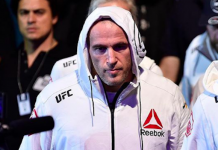 His last win occurred in 2016, when he defeated Stefano Valeriu Mircea by guillotine — the submission he became known for during his time on The Ultimate Fighter. He’s currently 16-11 overall. What do you think the future holds for Cody McKenzie after this lengthy USADA suspension was issued?